- Wednesday's forecast called for a beautiful sunny and warm day, which was sandwiched in-between two crummy weather days. 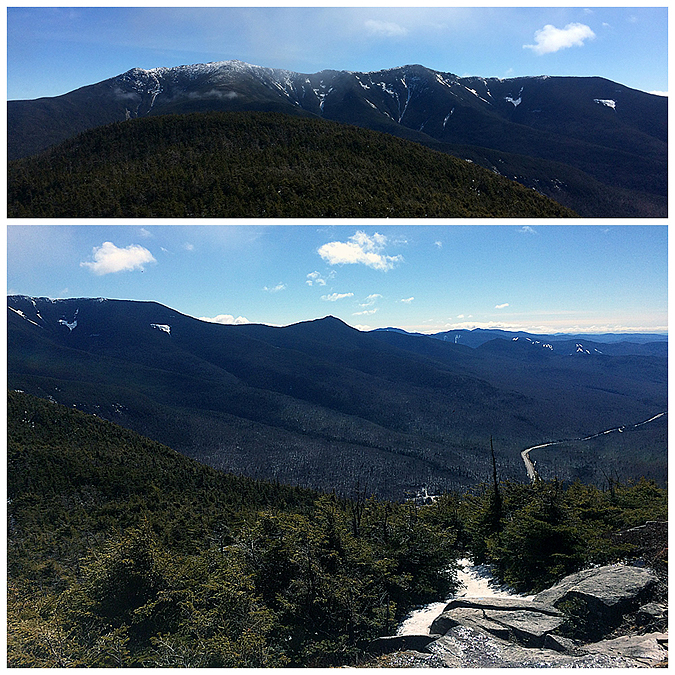 I took advantage of the mid spring temperatures and headed to Waterville Valley for a quick hike before work, followed by a jaunt up Cannon Mountain during an extended lunch break. 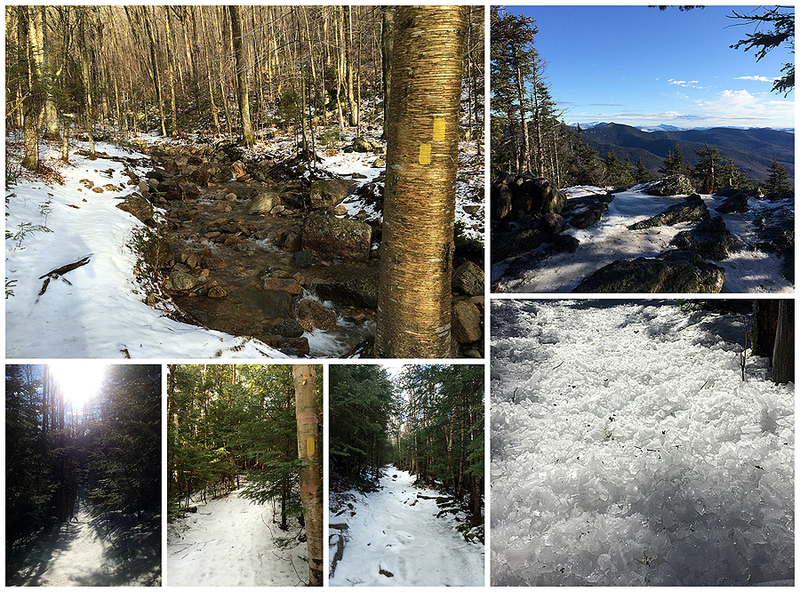 - Conditions on Tecumseh were pretty slippery in spots but with the warm temperatures it was a pretty straight forward hike in microspikes. Cannon, on the other hand was still as steep as it ever was with some murderous icy sections over the first mile and a quarter. 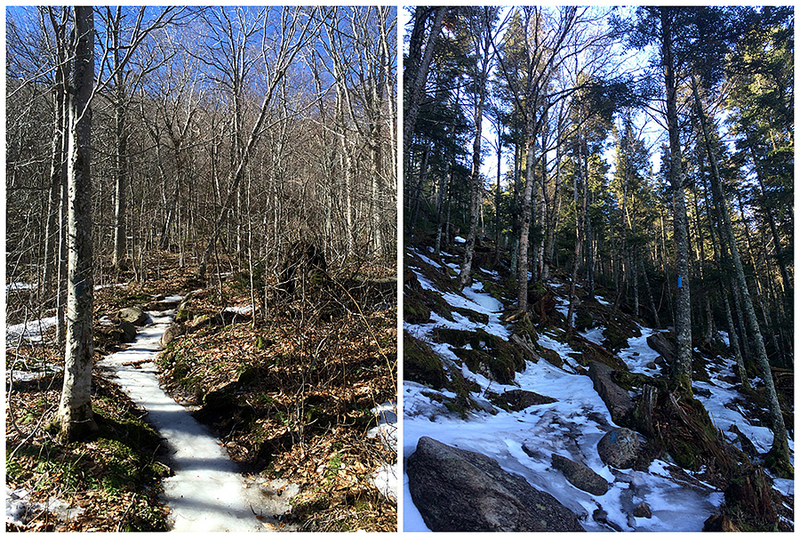 I managed to get up in down in my microspikes, which are still very sharp since they are new, but crampons would have not been an overkill at all. 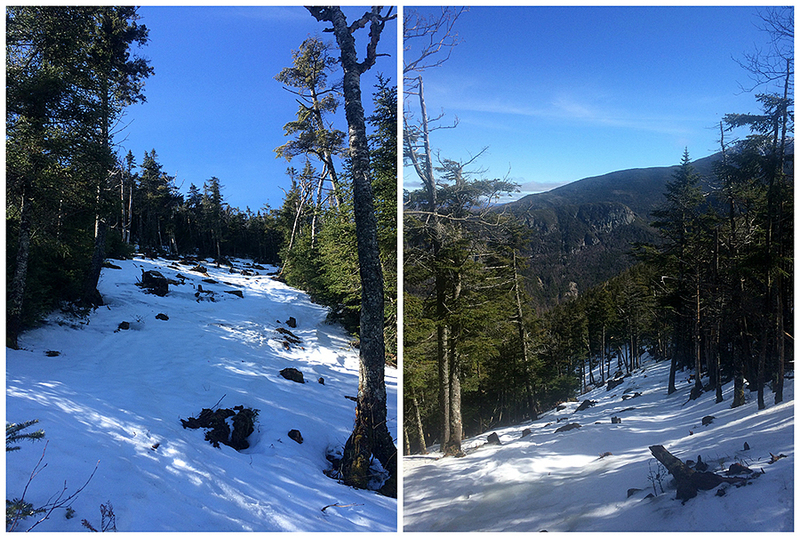 - As a side note, both these hikes ended up finishing my grid for these two peaks. Tecumseh, I have hiked fourteen times, while there aren't many ways to mix up this hike I've tried my best over the past twenty-four years to do so, yes you read that correctly it took twenty-four years to grid this peak! 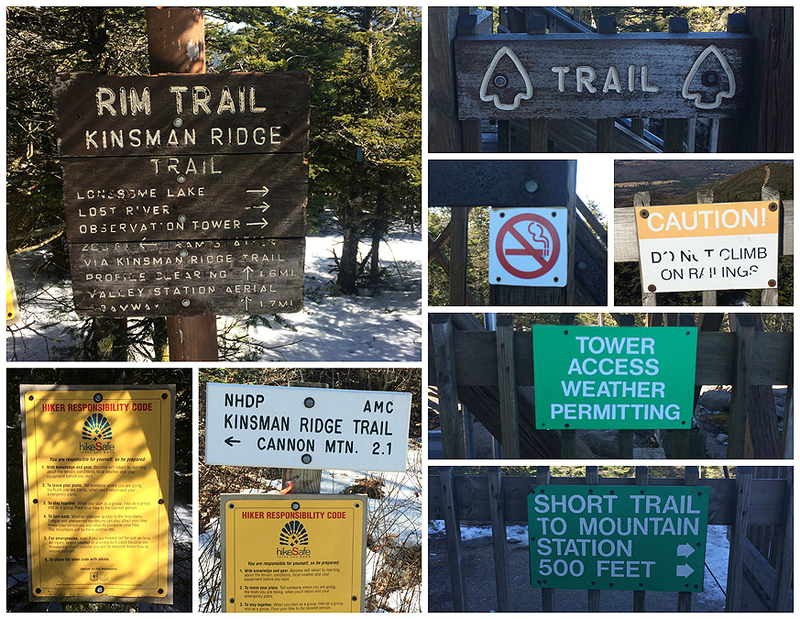 Anyway, I tried different approaches over the years, from both ends of the Tecumseh Trail, up the ski slopes, down them, up the tower access road, trail running the mountain. 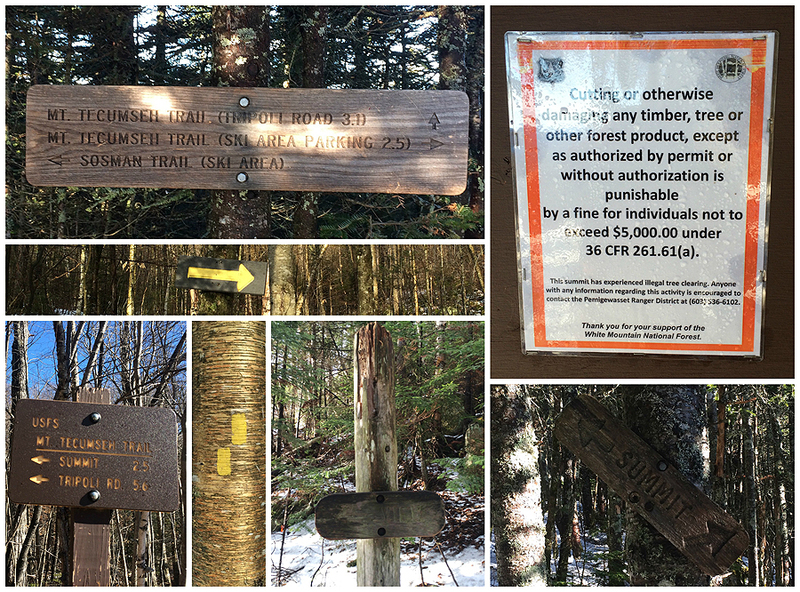 I still have yet to bushwhack over from the Welch-Dickey col where there used to be an old trail so I look forward to that. - As for Cannon, it took seven years to grid, and it was my sixteenth time overall summiting the 'Freak' of Franconia Notch from just about every direction, Kinsman Ridge, Mittersill-Cannon, Hi-Cannon, via Kinsman Junction and the Cannon Balls, Lonesome Lake and Coppermine Col, Franconia Notch Loop, MMD 50K Ultra trail run, etc. 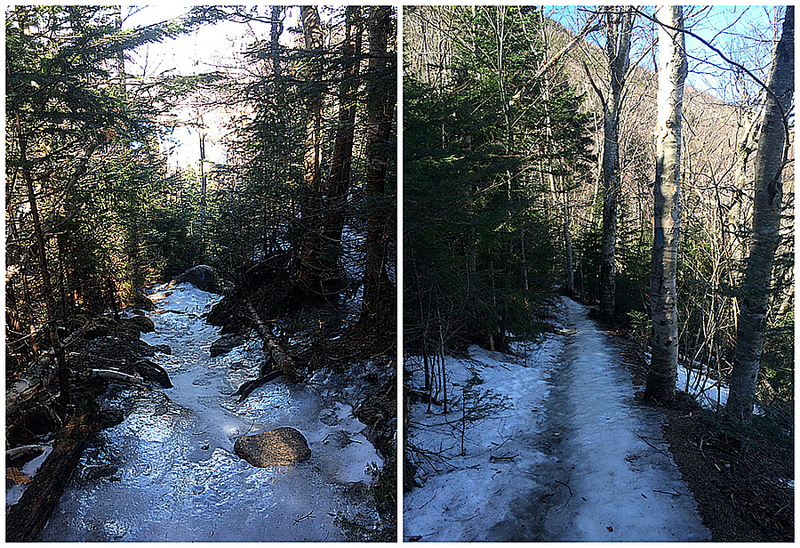 The Mittersill-Cannon approach is my favorite, however that trail is only opened on a limited basis due to it going up the ski slopes. 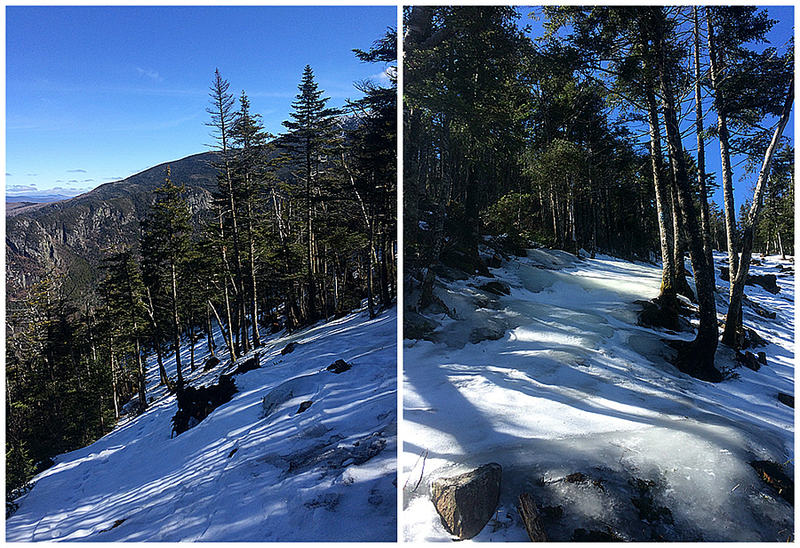 Icy on the way down! Thanks, Wendy. That is a nice 4K and route to begin with, especially in the summer! 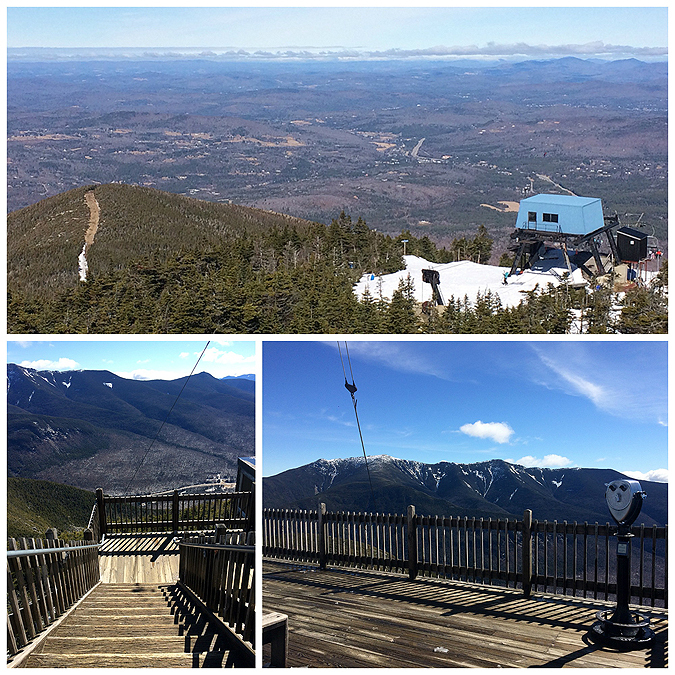 "a quick hike before work, followed by a jaunt up Cannon Mountain during an extended lunch break." Really? LOL. Your amazing and in a different world than I. Wednesday was a perfect weather window day though. I changed my plans from Carters on Friday to Adams on Wednesday. Ended up in shorts and t=shirt just like on Cabot on Sunday. Congrats for gridding these two. Outstanding pics as usual.